People in Vienna love eating sausages. 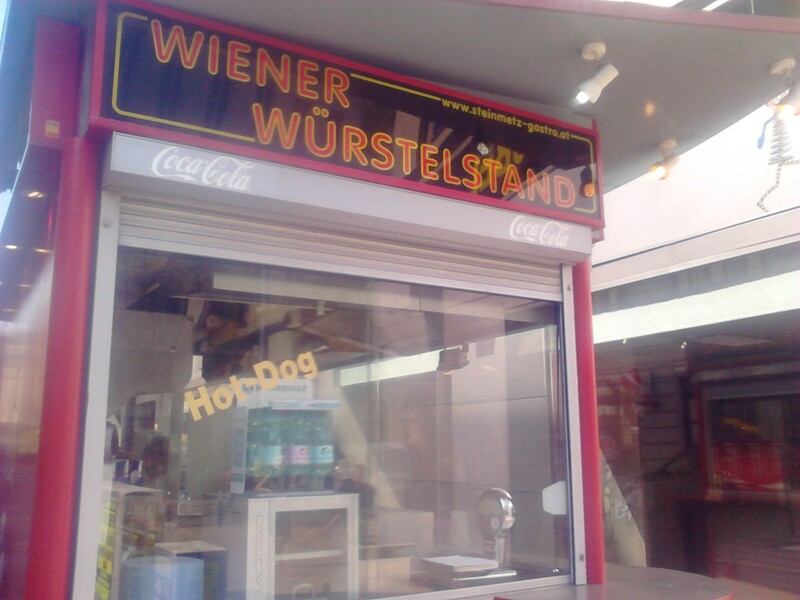 There are Wurstl stands everywhere, always doing a roaring trade. There is no time of day or night that is not conducive to snaffling a sausage with a bit of mustard. What I was amazed at the first time I had a hotdog here was how it is served. The bun is not sliced lengthways down the middle for the sausage to be laid in; rather, the bun is speared on a long metal point first. This makes a long hole in which mustard and tomato sauce is squirted before the sausage is put in. I had never seen that before anywhere and thought it was so simple, yet ingenious. The best thing is that because the hot dog is contained, it cannot jump out and so you don’t need to use two hands to eat it to ensure the contents don’t end up all down your jacket. Instead, it means you can eat it with one hand, leaving the other hand free to hold the can of beer that you can also buy from every sausage stand in the city. This is also an alien concept for me: I’ve never see a hotdog seller anywhere else serving booze. Another type of fast food that the Viennese are obsessed with is stir-fried noodles. I think of food in Vienna as being quite traditional and don’t find there to be as many international restaurants as in other capital cities, so it’s quite interesting that Asian style noodles have been adopted as their own. Just like the sausage stands, there are Lucky Noodle stands all over the place. Even McDonalds went through a period of selling bowls of fried noodles as part of their efforts to provide for local tastes. And finally, I must mention the kebab, which here is called a “Kebap”. 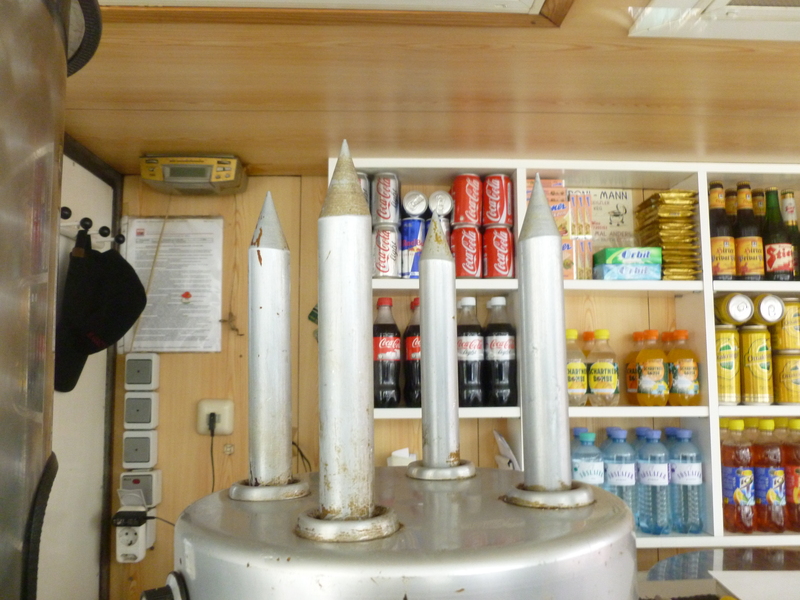 Here, Kebap availability is round-the-clock, and you don’t need to be drunk in order to eat one. 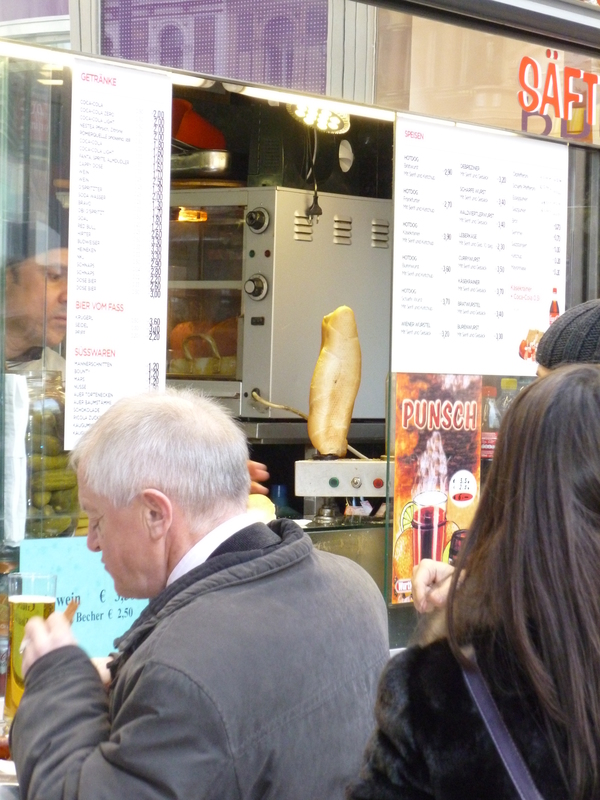 A Kebap is as acceptable a snack as a sausage or noodles, or just like grabbing a sandwich back in the UK. I still find it strange to see someone eating a kebab on a train at noon even though they are fully sober. I have indulged in a daytime kebab a couple of times, just for the sake of research, but unable as I am to disassociate them from drunkenness, it has only been during those times I’ve been a bit hungover. Even kebab eating habits are shaped by culture. A kebab? In broad daylight?